With the deadline aproaching for the first round of this years applications here at The Grad Scheme, we’re looking at our previous grads and marvelling at how far they’ve come. 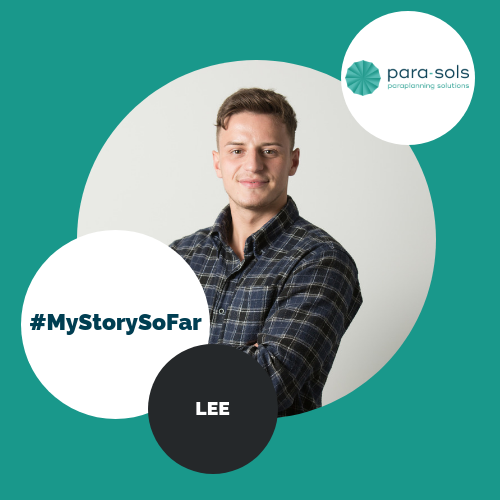 We want to share their stories with you, so today’s edition is from Lee, a Graduate Paraplanner at Para-Sols, who joined us in June 2017. The nature of the job means that your time management improves significantly; you have to work in unison with your teammates, as well as advisers, to be smart with your time so that I meet the 5-day turnaround (which can be tricky in really busy periods!). So I’ve also learnt to prioritise my workload and learnt the importance of planning my workload and how I’m going to structure my day. My creativity and problem-solving skills have improved massively too! Although help is at hand when needed, you are given encouragement to excel individually without everything necessarily being ‘spoon fed’ which is great because I like to prove that I can work well on my own initiative too. What do you enjoy the most about working at Para-Sols? Personally, I think the sense of togetherness and real drive within the team is infectious – we share the stresses and successes as one big team. What I enjoy the most is how often the days get to 5pm and wonder how the time came around so quickly – there’s certainly no time (or need) to sit and clock watch! Having a real drive and motivation to learn and succeed is paramount! Resilience is also important – in the sense that some things take longer to grasp and some things might not go your way straight away but I’m now 9 months in and 2 exams under my belt and already feeling like I’ve made some huge steps in my career. On a practical basis, having strong computer skills is a must (we work on Macs which can be learning in itself!) and also being able to communicate with people is a massive need. Since starting in June 2017 I’ve come quite far and feel like the last 3 months in particular (since sitting my first exam a couple of months ago) things have really started to accelerate for me. Most of us grads entered the scheme with no particular subject knowledge, yet each day you learn something new and your confidence grows in different ways. I now have 2 exams under my belt and aim to complete the remainder of my Diploma as soon as possible. It’s a brilliant introduction into the financial services as a profession. Plus, it’s a chance for you to earn money whilst learning and gaining qualifications and also be a part of a young, ambitious team, which is continuing to grow and expand – I love playing my part in what is a very exciting time!